Before doing anything under the bonnet, switch off the Stop & Start system to avoid any risk of injury resulting from an automatic change to START mode. 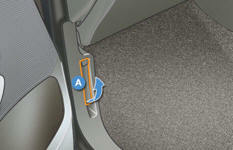 Pull the interior bonnet release lever A , located at the bottom of the door aperture. Push the exterior safety catch B to the left and raise the bonnet. Unclip the stay C from its housing. Fix the stay in the notch to hold the bonnet open. 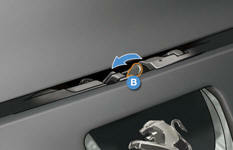 The location of the interior bonnet release lever prevents opening of the bonnet while the front left door is closed. Do not open the bonnet in high winds. When the engine is hot, handle the exterior safety catch and the bonnet stay with care (risk of burns). 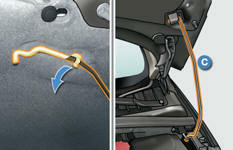 Pull on the bonnet to check that it is secured correctly.